Why Thailand for Your Wedding Destination? As a wedding planner in Thailand, I often ask couples why they want to get married in Thailand, and I get many answers. For the white sandy beaches and crystal clear waters of Phuket, Krabi, Khao Lak, Koh Samui and Hua Hin. Or it could be the rolling, mist capped hills of Chiang Mai. Or do you want your wedding in Thailand simply because you love the friendly people and the amazing food? Perhaps you just want to keep things uncomplicated and stress free. Perhaps your dream wedding is just the two of you in a romantic and beautiful location, or you could want a glamorous, guest packed tropical event. What Makes a Wedding Planner in Thailand Truly Excellent? An exceptional wedding planner in Thailand, takes the stress out of the whole event, so that you can relax and enjoy the planning phase as well as your time in Thailand. Especially the wedding day itself. This is first and foremost why we count ourselves as one of the best wedding planning services in Thailand. We are honest and full of integrity, and are focused on bringing the wedding couple’s dreams to life. (With a beady eye on the budget!) We listen. What are your aspirations, inspirations, your must haves and your pain points? As an exceptional wedding planner in Thailand, we have a checklist longer than either the bride or groom can imagine. We have a great team behind us and are never overstretched. We are fun, professional, always on hand – we always have an armful of contingencies, and above all, we totally LOVE weddings! 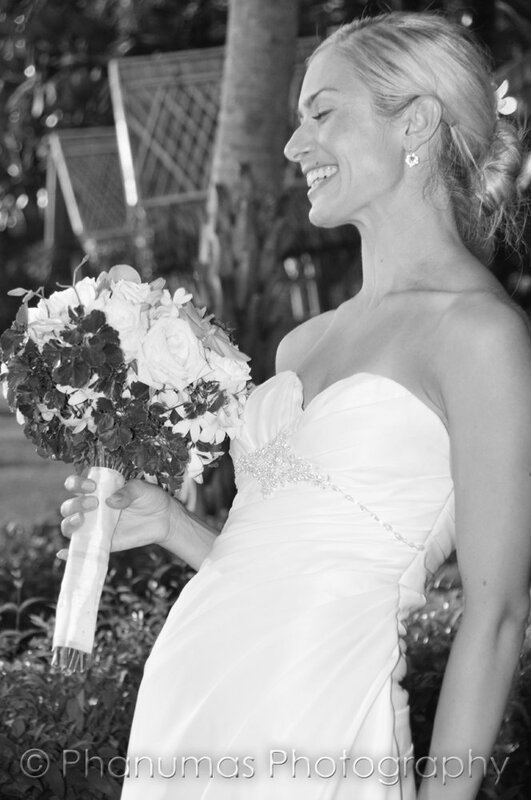 Total quality is ensured for your wedding because we only commit to a few weddings each month. An unforgettable wedding experience, within your budget. Resort weddings or totally custom designed weddings in private villas/venues. Venue specialists – No one knows Thailand like we know Thailand! Since we pride ourselves as being an exceptional wedding planner in Thailand, we have personally inspected many wedding venues in Thailand. We can recommend venues in Hua Hin, Krabi, Phuket, Khao Lak and Koh Samui, to name but a few. We leave no stone unturned to lovingly find out every detail of each location and venue so you don’t have to fly to Thailand the year before. Unless you are looking for an excuse! Siam Weddings is owned by Sarah from the UK and Mas from Thailand. They met in Thailand in 2007 and have been living and working together ever since. They are a perfect combination of western and local cultures to deliver a truly memorable day. Sarah has more than 20 years of marketing and event management experience in the UK and Mas brings over 25 years of experience behind the lens. He has captured over 100 weddings – both still and moving film. 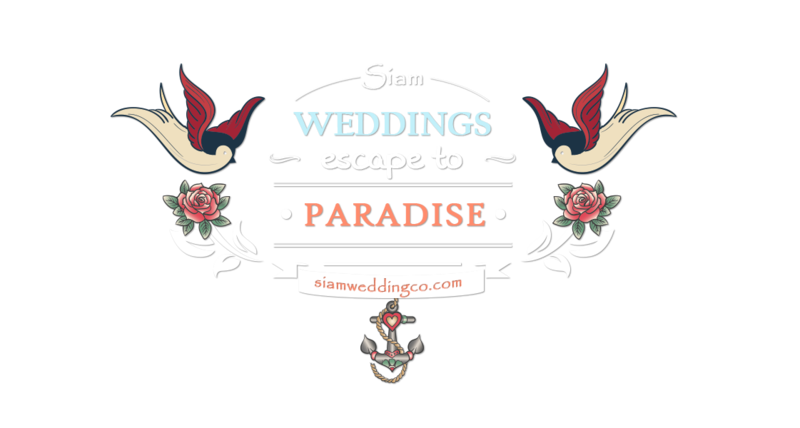 With their passion for excellence and love of Thailand, Siam Weddings has grown into one of the best wedding & event management companies in the region. Today in 2016, their service is unrivalled no matter what your budget. If you are looking for a wedding planner in Thailand, look no further. Find out more about the Siam Weddings team here.